Afghan Biscuits are not, contrary to their name, from Afghanistan. They are a New Zealand recipe. Where the name comes from I don’t know exactly but these little cookies are a mainstay of the home baking container in New Zealand. Real talk… these biscuits are not pretty. 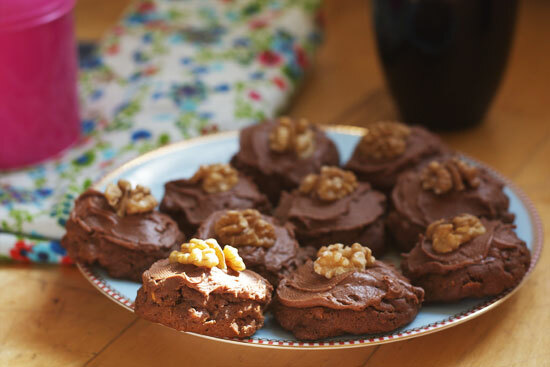 They’re lumpy and odd-looking with a heavy slathering of chocolate icing and half a walnut plopped on top. That’s it. But, what they lack in looks they make up for in flavour. These cookies are soft and crumbly like shortbread with a little crunch and chew to their texture from the cornflakes. The chocolate icing balances nicely with the drier biscuit. The walnut on top always seemed a bit odd to me but is definitely essential as it wouldn’t be an Afghan biscuit without this! Of course the main draw of Afghan biscuits for me is that they are from New Zealand. It’s nice to bake something that’s uniquely kiwi, both to share with friends and to enjoy a taste of home. 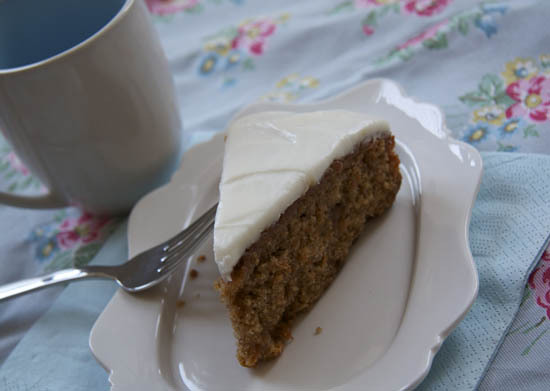 I used this recipe from Allyson Gofton’s ‘Bake: Favourite Homemade Recipes’. There are many other recipes online, all along similar lines. The key components are flour, butter, sugar, cocoa and cornflakes. It’s hard to go wrong with this one. Life is in flux for me at the moment. We will soon be moving our little family to a new home, in a new city, in a new country. This big move has come somewhat unexpectedly. If I had a ‘5 year plan’ for my life, this would certainly not have been in it. Never-the-less, it will bring some exciting new challenges and hopefully opportunities to learn, grow and flourish. Sometimes the biggest blessings come from things you would never have planned! That is my big picture perspective. But in the right now, right here, it is still pretty daunting looking into the great unknown. We have a lot to plan and organise! 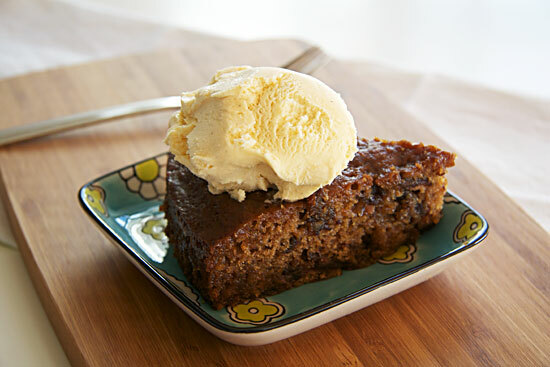 This is comfort cake, best served warm with ice cream while nestled on the couch with a good book and a warm blanket. It tastes like comfort. Also, like rum and dates which is a very good thing. Chop dates roughly into halves or thirds, sprinkle with baking soda soda and cover with boiling water. Leave to cool. and mix well. Sift flour, salt and spice and fold into the wet ingredients. Put into a greased and lined 20cm round cake tin. Bake for 40 – 45 minutes at 160C. When cooked, remove from oven. Boil the butter, sugar and rum for one minute to make a hot syrup. 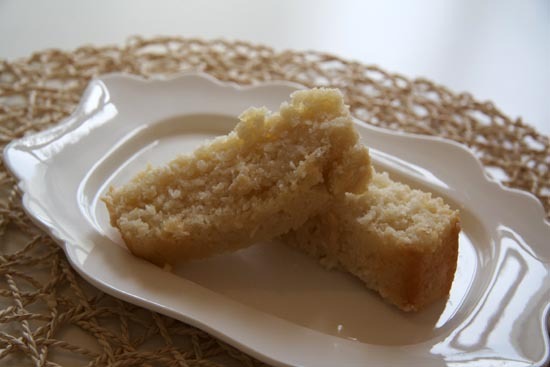 Poke small holes in the cake with a bamboo skewer or toothpick and drizzle over the syrup. Serve warm with a big scoop of ice cream. This cake is as simple as it gets. 6 ingredients in a bowl, mix, pour into a loaf pan or 6″ cake tin. 45 minutes baking time and you have cake! 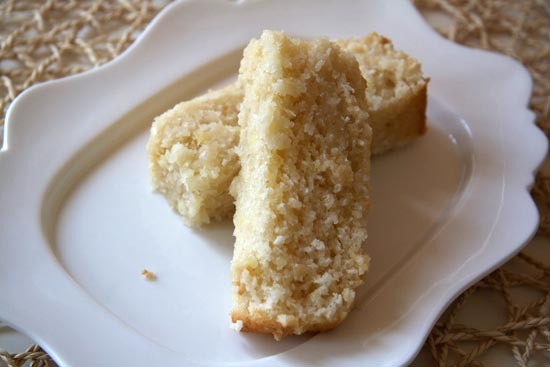 I like the dense coconutty texture of this cake and the chewy golden crust. 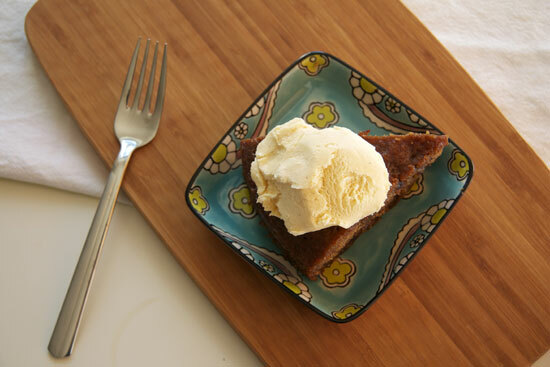 It’s perfect straight from the oven, also delicious for dessert with a big scoop of vanilla ice cream. And if there’s still some hanging around after a day or two (not likely in this house!) then its also great sliced and toasted loaf-style for breakfast with a smear of melty butter. This could also be baked in a loaf pan and called a Lemon Coconut Loaf if that makes it easier to eat for breakfast. Also you could totally skip the lemon if that’s not your thing. You could try subbing orange or lime or just go for vanilla. So simple and quick, how could you not try this one?! Stir together the dry ingredients and zest in a mixing bowl. Pour in the milk and mix it all together. Pour into a lined 6″ round cake pan (or a loaf tin). Bake for 45 minutes at 175c. Tomorrow my little M will be 1 year old. He has grown from a teeny ball of sleepy squish into a pint-sized ball of never-ceasing energy and noise. Scrambling around the house on all fours, little M is always exploring, and already showing his personality and asserting his little will. 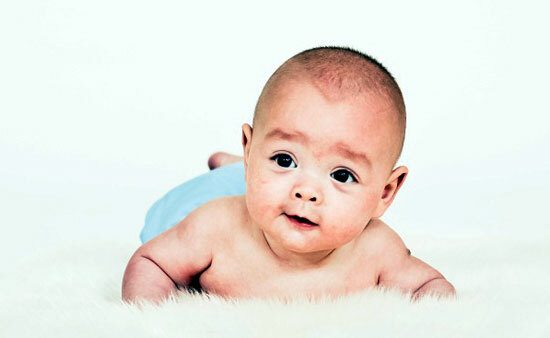 The 12 months since he made his arrival have been jam-packed, to-the-brim, overflowing with life. Oh how thankful I am for such an amazing year. 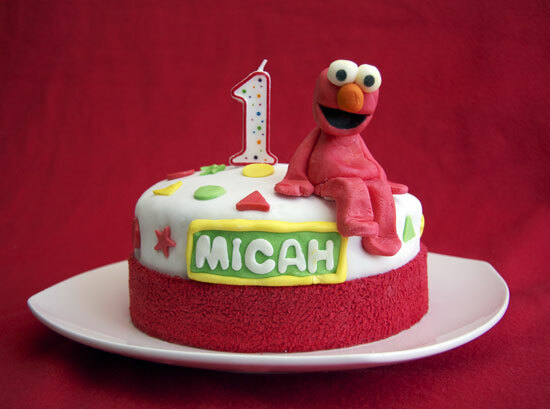 I made this elmo cake for tomorrow’s celebrations. Inside is 4 layers of chocolate cake smushed together with chocolate frosting. I’m looking forward to serving up a big slice of this cake to little M. It will be his first taste of cake and is sure to be a big happy mess! We got home 7 days ago from a big trip to visit family in New Zealand. This was the first time introducing our little M to most of his extended family. The 3 weeks spent with family was full, happy and dearly cherished. The farewells were difficult. The flight home was long. Since we got back the days and nights have passed in a haze of bleary-eyed, sleep deprivation. Lets just say a jet-lagged baby is bad. A jet-lagged, teething baby with a cold is truly awful. After 7 days little M seems to be finally emerging from the jet-lag and beginning to fall into some semblance of routine again. And I am delighted to be getting more than 20 minutes of sleep at a time! The fallout of all this is that Christmas has kind of crept up on us. Only 6 days away? Seriously?! I love Christmas time. I would usually have the tree up as soon as socially acceptable, gifts bought and wrapped weeks in advance, christmas playlist on repeat, and a list of Christmas recipes to bake my way through. With only 6 days left I feel the need to pack as much Christmas cheer as possible into this week. To kick things off yesterday I made a little gingerbread house – my first ever. I loved the smell of ginger, cinnamon and cloves that filled the house when this was baking. It was surprisingly easy to create and lots of fun to decorate. 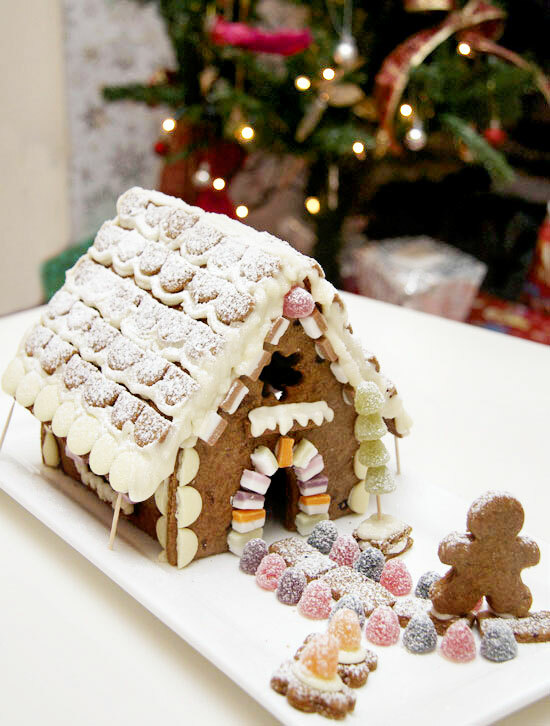 Making a gingerbread house each Christmas is a tradition I’d love to start. Here is the template for a basic house: Download PDF. Cream the butter, brown sugar, molasses, cinnamon, ginger, cloves and baking soda together until the mixture is smooth. Blend in the flour and water to make a stiff dough. Chill at least 30 minutes or until firm. Cut out cardboard templates for the walls and roof of your house. Roll out the dough between two sheets of cling film. Using the templates, cut out the pieces for your house and place them on lined baking trays. 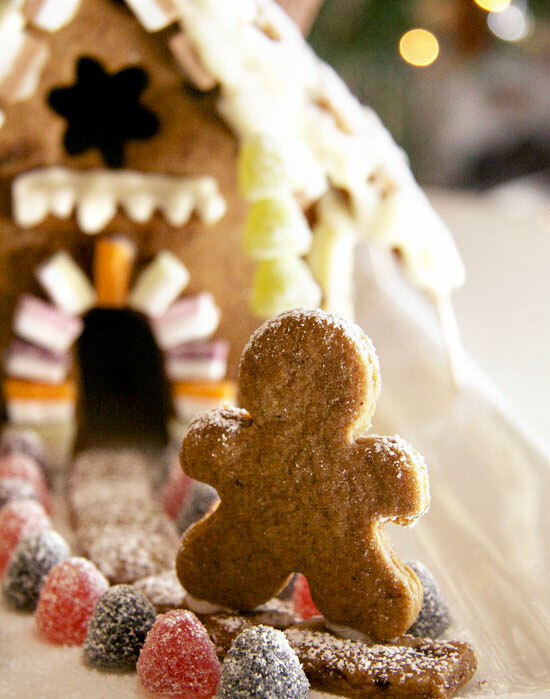 Use excess dough to make house decorations and/or gingerbread men. Chill for another 30 minutes. Preheat oven to 175C and bake for 12-15mins or until dough feels firm. While still warm, place the templates on top of the cooked pieces again and carefully trim any excess with a sharp knife. Cool on the baking sheet. Decorate the house as you wish and glue together with icing. With all the rain we’ve been having lately it feels like summer is long gone. It’s been gone for weeks. I’m already missing the seaside walks, picnics in the park and daylight till 11pm. On the plus side, autumn means the start of warm winter desserts like this caramel apple tart. In a bowl, mix together the 1 3/4 cups flour, icing sugar and salt. Cut or rub the butter into the flour until it resembles coarse crumbs. Make a well in the center and pour in the beaten eggs. Add zest if using. Mix the egg into the flour using a fork. Continue mixing until a dough begins to form, use your hands to lightly knead the dough into a ball. Mold the dough into a flat disk, wrap in cling film and refrigerate for at least 2 hours. Take the dough from the fridge and place on your working surface on top of a large sheet of cling film. Place another sheet of cling film on top and roll the dough out to a thickness of approx 3mm. Remove the top layer of cling film and flip the pastry sheet into the tart pan, position it and press it gently into place. Peel off the remaining cling film layer and trim away any extra pastry from the edges. Prick the base of the pastry case with a fork a few times. 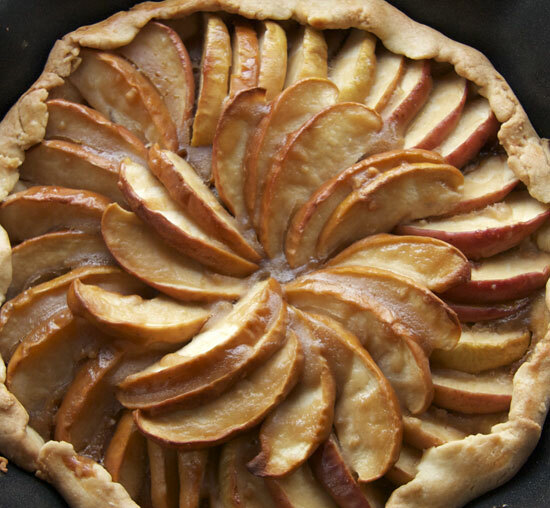 Slice the apples thinly and place the apple into the pastry case overlapping the slices going around in circles. Mix the milk, syrup, flour and brown sugar until smooth and pour evenly over the apple slices. Bake for 30 minutes at 175c. So, no promises. Just one blog post at a time, whenever I get a chance. Today I have a marshmallow slice to share with you. 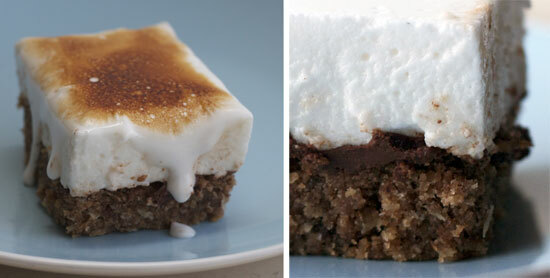 Crunchy wheat base, a layer of chocolate and a thick slab of fluffy marshmallow on top. It’s tasty just as it is but I also decided to try a slice toasted with a kitchen blowtorch to make it smore-ish. The marshmallow melted pretty quickly so I had to go quickly and lightly with the torch but I think the crispy top and toasted marshmallow aroma were worth the sticky drippy mess! Preheat the oven to 200c. Grease and line a 9 inch square baking pan. Mix the brown sugar, flour, coconut, baking powder and wheatabix into the melted butter. Press with crust mixture into the lined pan and bake for 15 – 20 mins. Sprinkle the chocolate chips onto the crust while still warm and leave a few minutes to melt. Use the back of a spoon to gently spread the melted chocolate in a thin layer over the whole base. Set aside to cool. Once the base has cooled dissolve the gelatine into a cup of boiling hot water. Add the gelatine to the icing sugar, white sugar and vanilla in a mixing bowl. Beat with an electric mixer until thick, white, and glossy, this could take a while. Pour the marshmallow over the base and leave for 30 minutes to set before slicing. You can sprinkle a little icing sugar over the top of the set marshmallow to prevent sticky fingers when eating the slice. When I saw these cookies over at How Sweet Eats I knew immediately that I had to try them. These cookies are very grown up. They have toasted almonds, coffee, white chocolate and a sprinkling of cocoa nibs. Yum, this flavor combination does a delicious little dance on the taste buds. 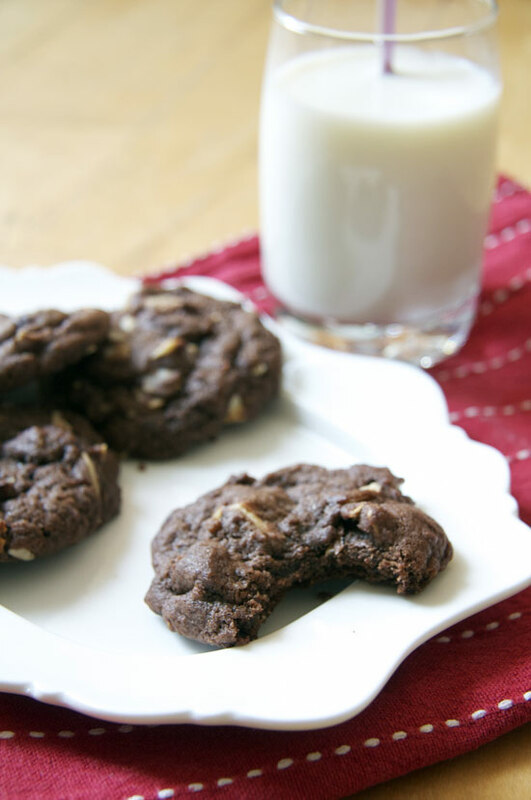 Just as the name promises, these cookies are also soft and fudgey like all the best cookies are. 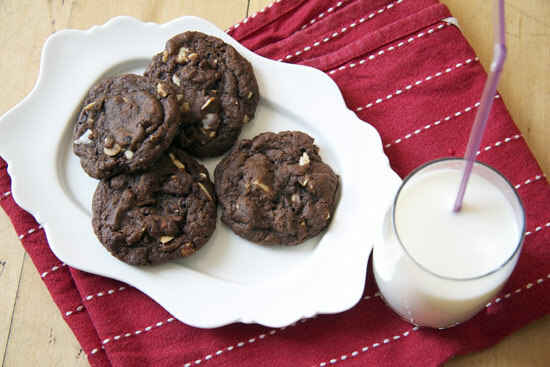 You should totally treat yourself to something special and make these too! ** Cocoa nibs are dry-roasted pieces of cocoa bean. I think they are awesome. If you can’t find these then some dark chocolate chips will suffice as a substitute. Toast the almonds with the cinnamon in a saucepan over low heat for a few minutes. Stir continuously and watch them closely as they may brown quickly. Remove from heat and set aside. In a mixing bowl cream the butter and sugar. Mix in the egg and vanilla essence. Add the flour, cocoa powder, instant coffee, baking soda and salt to the butter mixture and mix it all together. Lastly, fold in the chocolate chips, cocoa nibs and almonds. Cover the bowl and refrigerate for at least 2 hours. Preheat the oven to 175c. Evenly space roughly shaped tablespoon-sized balls of dough on a baking tray. Bake the cookies for 8-10 minutes. Leave to cool on the tray until firm enough to remove then cool completely on a cooling rack. Gobble up immediately or store in an airtight container. 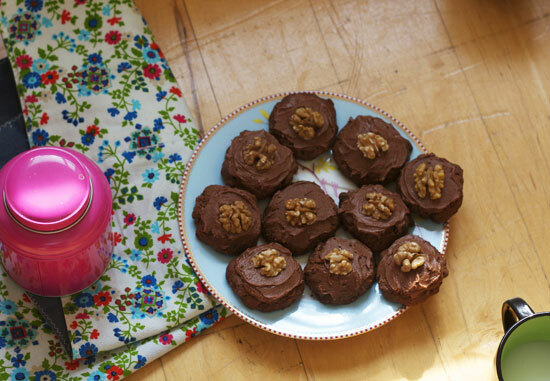 The Daring Bakers recipe for this month was Maple Mousse in an edible container of your choice. I thought this would be the perfect chance to trial some sweet bacon baking of my own and see what I thought. 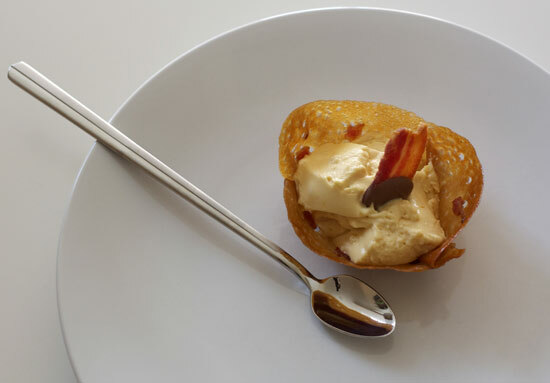 I made bacon maple snap baskets, filled with creamy maple mousse and garnished with a little chocolate dipped bacon. The verdict? Bacon maple snaps are delicious! Maple Mousse also not bad. Bacon and chocolate? No. I draw the line there. This was fun to try as a novelty dessert but definitely not an everyday recipe. I still prefer my bacon and maple syrup best for breakfast with french toast and banana. My maple snap baskets are made using a “Brandy Snap” recipe. Brandy snaps are a lacey thin cookie that is baked and shaped into tubes while still warm and bendy. Once cool, brandied cream is piped into each crispy toffee snap. My version substituted maple syrup for golden syrup and included a sprinkling of finely diced bacon bits over the batter before baking. 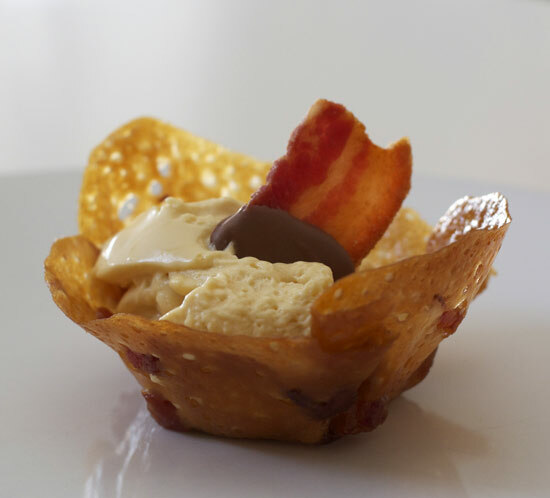 The bacon matched perfectly with the sweet toffee crunch of the cookie. It was a slow process to make these because you can only bake 3 or 4 at a time but it was surprisingly easy to do and I will definitely make these again (without bacon) in future. Preheat oven the to 180°C and line a tray with baking paper. Melt the butter, brown sugar and golden syrup in a pot over a medium heat for stirring until the butter melts and sugar dissolves. Set aside for 5 minutes to cool slightly. Add the flour and stir to combine. Drop four teaspoonfuls of mixture on to the tray, spaced well apart, they will spread a lot! Bake for 5 minutes or until they are thin, bubbling and deep golden brown. Remove from oven and allow to cool for 1 minute. Working quickly, lift each one and drape over an upturned glass, ramekin, or cupcake mold to form a basket. Leave to set for 5 minutes and transfer to a wire rack. Repeat with remaining mixture. Bring maple syrup to a boil then remove from heat. In a large bowl, whisk egg yolks and pour a little bit of the maple syrup in while whisking (this is to temper your egg yolks so they don’t curdle). Add warmed egg yolks to hot maple syrup until well mixed. Measure 1/8 cup of whipping cream in a bowl and sprinkle it with the gelatine. Let it rest for 5 minutes. Place the bowl in a microwave for 45 seconds (microwave for 10 seconds at a time and check it in between) or place the bowl in a pan of barely simmering water, stir to ensure the gelatine has completely dissolved. Whisk the gelatine/whipping cream mixture into the maple syrup mixture and set aside. Whisk occasionally for approximately an hour or until the mixture has the consistency of an unbeaten raw egg white. Whip the remaining cream. Stir 1/4 of the whipped cream into the maple syrup mixture. Fold in the remaining cream and refrigerate for at least an hour. Remove from the fridge and divide equally among your edible containers. Easter is here. This means a long weekend yippeee!!!! I’m looking forward to sunshine, chilling out with good friends, hot cross buns, chocolate, and perhaps a sleep-in if I’m lucky. Of course, Easter is also a special holiday to me, a time to reflect on the immoderate and undeserved grace of God. Not to get too preachy, but if you don’t know about the grace of God, you should find out. It changes things. Yup. Since the arrival home of our little M I’ve found that the hours of the day don’t seem to stretch as far. After the feeds, nappy changes, bottle washing and the never-ending laundry pile, there is very little time for other things… like reading blogs, making meals, long showers, sleep. Life is full in a brand new way and its good, really good. But it doesn’t leave much time for baking and blogging so please forgive me if posts here are a little sparse until M learns to sleep for more than an hour at a time haha. Recipe from my Mum’s collection, origin unknown. Mix the dry ingredients in a large bowl. Warm the oil and syrup. Add the eggs to the dry ingredients then add the oil and syrup and mix well. Stir in the grated carrot and pour the cake batter into a lined cake tin. Bake for 1 hour at 160C. Once cooled, ice with cream cheese frosting. To make frosting: combine 1/2 cup cream cheese and 1 teaspoon vanilla essence in a mixing bowl and slowly beat in enough icing sugar to form a thick frosting.